Marathon Week On The AIR Bombards You With RFC! 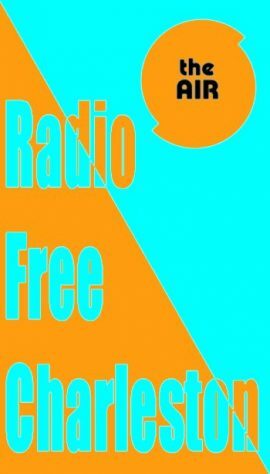 Tune in at 9 AM Tuesday morning for a special 24-hour marathon of Radio Free Charleston. This is one full day of nothing but the best local music from West Virginia. No other radio station can bring you this much local music, and we wanted to flaunt our committment, just because we can. You will hear everything from brand-new music from The Wren Allen Band, Speedsuit, Bon Air, Fabulous Head and The Company Stores to classic tracks by Stark Raven, Qiet, Go Van Gogh, Big Money and Mother Nang to deep archive music from Hasil Adkins, The Amazing Delores and The Rose Garden. This goes on for one full day, so you’ll hear all that and much, much more. We’ll bring you rock, pop, metal, punk, ska, Americana, jazz, classical guitar, progressive experimental music, EDM and more, all of it with ties to West Virginia. We will interrupted the local music for a special Radio Free Charleston International at 11 Pm, but then the local onslaught resumes overnight, until 9 AM Wednesday. Wednesday morning you can tune in to a mini-marathong of Curtain Call, followed at 1Pm by a new episode of Life Speaks with Michele Zirkle Marcum that kicks off eleven hours of her gripping paranormal program.